This hungry Easter rabbit has gone Easter eggs hunting in the garden and has picked all the eggs he could hold in its hands! You can't trust rabbits: they eat the young and tender carrots and cabbage from the vegetable patch, and when Easter comes, they go hunting Easter eggs before children can get to them! 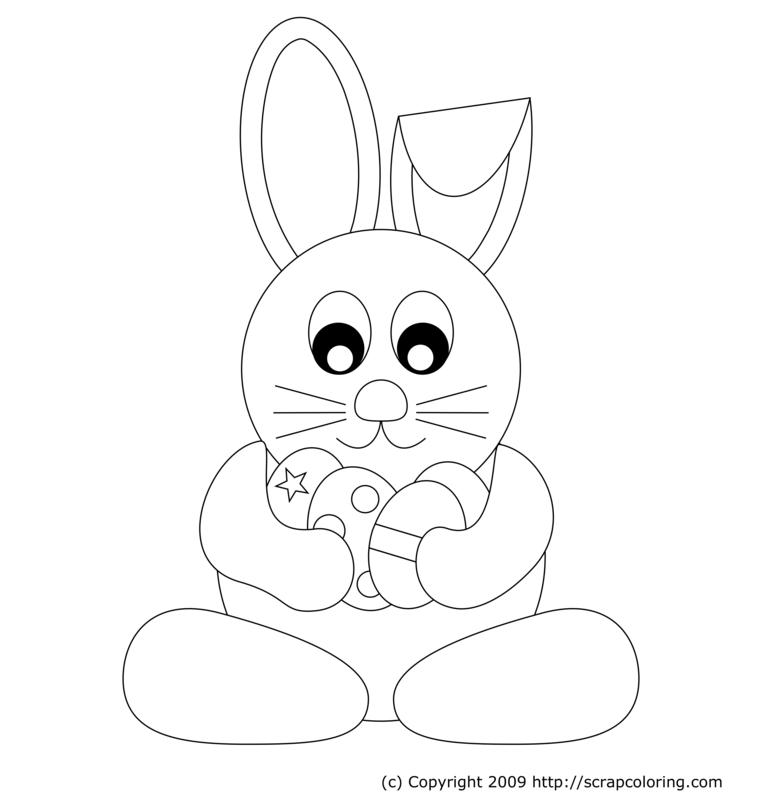 If you do not see the online coloring page Easter Bunny and Easter Eggs in black and white above, you need to use another web browser: see the page Supported Browsers.